Folios go into Guest History when Reorganize Files is done after the folio has been checked out. 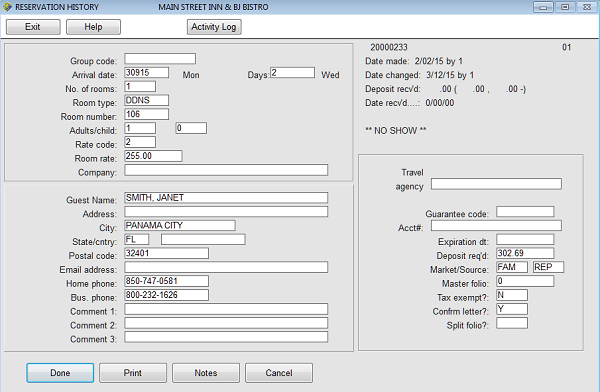 Folios with a balance will not go into Guest History until the folio balance is zero. 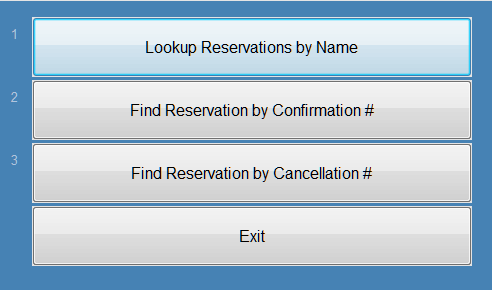 Reservation History contains cancellations and no-shows. 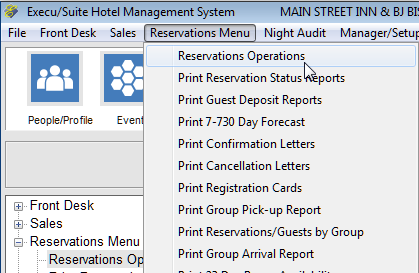 Once a reservation is checked in, the reservation is no longer active. The guest now has a folio, which will continue into Guest History. 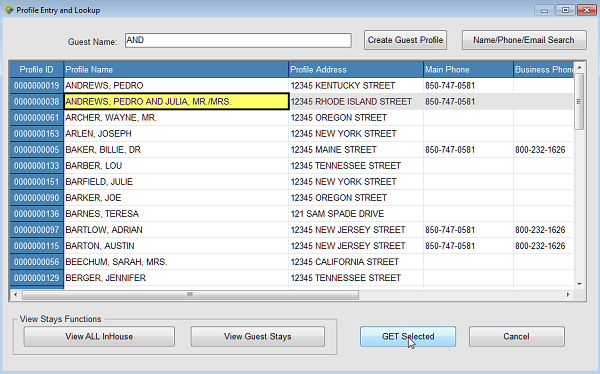 "Multiple Stays" is applicable only for hotels not using Guest Profile. You can select "Notes" to add notes to this stay. 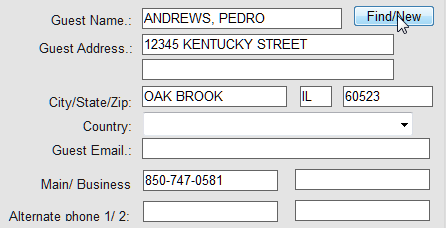 It does not update to Guest Profile. You can select "Guest Profile" to update the profile. 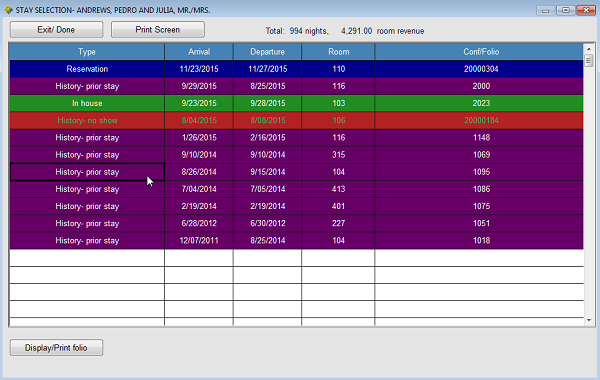 You can select Activity Log to see tracked events such as rate changes, room reassignments, credit limit changes, etc. Select the guest to change. 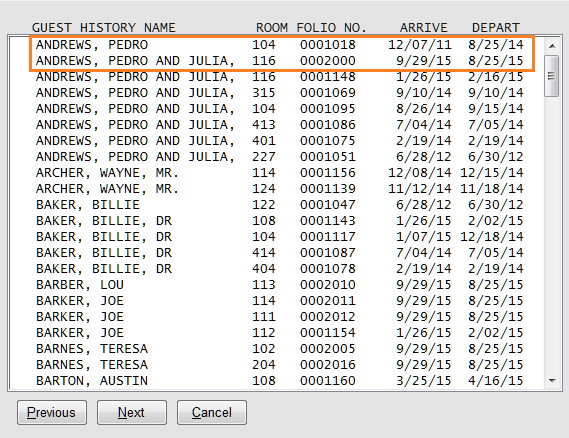 Display the folio and then select "Guest Profile". DO NOT change the Guest Name. Select "Find/New". Select an existing profile or create a new one.